KPMG is at the core of Exchange Traded Funds. Meet our dedicated team. KPMG is at the core of Exchange Traded Funds. 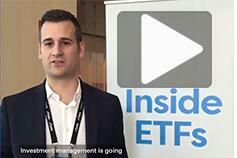 Are you happy with your ETF servicing? Creating a culture where our people achieve their potential is fundamental. 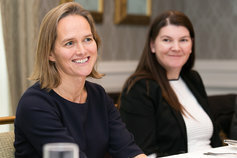 Ireland has a worldwide reputation as a leading regulated international jurisdiction for servicing the funds industry. In the last five years alone assets under administration in Ireland have more than doubled from EUR1.8 trillion to EUR3.8 trillion. We work with over 210 global investment managers including almost 30% of Irish domiciled ETF managers. ETFs are one of the fastest growing asset classes with Irish domiciled ETFs representing 53% of all European ETFs. Approximately EUR230 billion assets are currently held in Irish domiciled ETFs with this number expected to double, if not triple, in the next five years. ETFs are creating dynamic and innovative investment strategies and actively managed ETFs represent the next generation of innovation. Download our brochure to find out more about the advantages of ETFs and how KPMG can help you and your business. Jorge is a partner in the Financial Services Group, providing audit and advisory services. Darina is Head of Financial Services Markets at KPMG in Ireland. 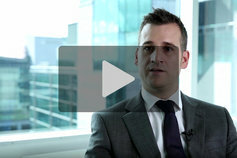 Seamus leads KPMG's financial service tax practice in Ireland. iNav, a real-time tool developed by KPMG for Exchange Traded Funds (ETFs). Financial Services Partner, Jorge Revilla, explains why investors should be using ETFs to create dynamic and innovative investment strategies.